Have you ever wonder why many diferent species of birds that are not related have similar shapes and colours and live in a similar habitat ? The answer is in what is called convergence evolution. “Convergence, or convergent evolution, occurs when unrelated organisms evolve similar features. Often it is caused by the organisms evolving to exploit a similar resource, but with a different evolutionary history. There are many examples in the bird world, two of which are illustrated below. Another remarkable example of convergence was uncovered only recently during the Field Museum’s Early Bird project. It turns out that even though hawks and falcons look and behave very similarly, they are not related to each other. 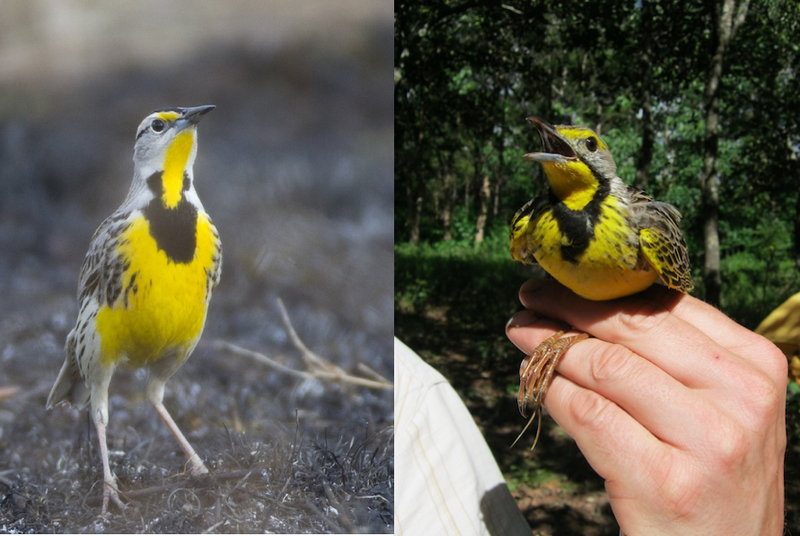 Despite similar body shapes, habitats, and ecology, these two birds are not closely related, a great example of convergence. 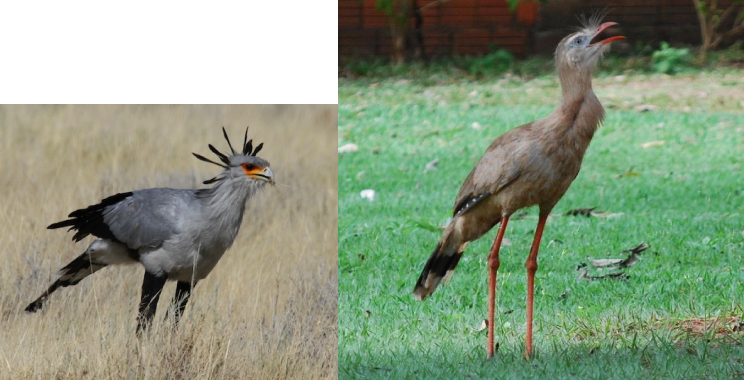 On the left is Secretarybird Sagittarius serpentiarius, a bird of the open African savannah that is related to hawks and vultures (and which happens to have a great name, both English and scientific). On the right is Red-legged Seriema Cariama cristata, also a long-legged, large-bodied hunter of open grasslands, but in southern South America. Seriemas seem to be most closely related to passerines, falcons, and parrots, although this is not well resolved. Photos by Josh Engel (left) and John Bates (right).